Calculating the return on investment for localization activity is a challenge in itself. Different organizations will crunch the numbers in various ways, according to their own objectives and goals. For most people the business case won’t be wholly based on financial metrics, but will also take other measures into account like market penetration, access to future funding rounds and the wider company strategy. The general consensus is that it’s perfectly feasible to make an objective assessment of localization potential, but there’s no single ‘best’ way of doing it. A logical approach might be to tackle the problem from an ‘opportunity cost’ perspective and to look at the financial opportunities you will miss as a result of NOT localizing your product. It’s easy enough if you have international prospects who have formally committed to your solution on the condition that a localized version is available. Then it’s a case of amortizing the localization cost across the agreed billings for the period and tailoring your margin expectations. 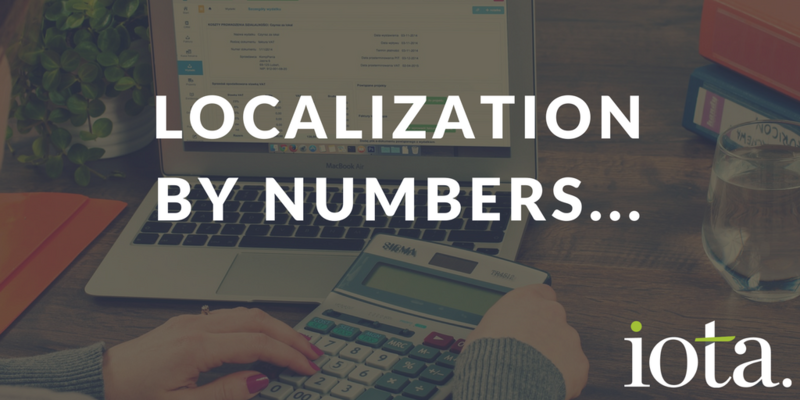 If the numbers add up, you localize. If they don’t, you walk away. It’s never as simple as that though. What if profit isn’t the objective from that first international customer? What if your research shows you that the first customer will give you the strategic foothold you need to accelerate the development of a much larger and profitable market for your product in that country? Now we’re moving into more strategic territory. It could also be that the first customer in that country hasn’t committed yet, but your market research shows there’s a significant and attainable opportunity for you in that region. That adds a new dimension to the discussion. If launching in a new country will initially generate $1 million in annual recurring revenue (ARR) and it takes $250,000 of new investment to credibly enter the market — it’s costing you nearly $15,000 for every week that you delay. If anything else was draining $15,000 a week from your budget, you’d address it quickly, wouldn’t you? It’s simplistic, and the numbers are wholly hypothetical — but it makes you think. It’s probably worth flagging up that I’m talking about professional software localization here — not an off-the-shelf translation plugin and a few randomly selected freelance translators. If you’re taking a strategic approach to international market entry and looking to achieve long-term recurring revenue, taking shortcuts with your product localization is a really bad idea. At best, you’ll find that after a year or two you’ve outgrown your basic translation solution and need to implement a more wide-ranging and robust program of localization. Sophisticated software users can sense a half-hearted approach from a long way off, and the more likely outcome is that you won’t achieve your forecast growth rate and you’ll need to invest a lot more time and money to get things back on track. Want to make sure your international customers feel like they’re using a locally developed product? Let’s set up a call and make it happen.